Depending on your financial advisor registration, when you make a recommendation to roll over a client's employer-sponsored retirement plan assets into an IRA, your recommendation is subject to FINRA rules—specifically, Rule 2111 (suitability) and Rule 2210 (communications with the public). 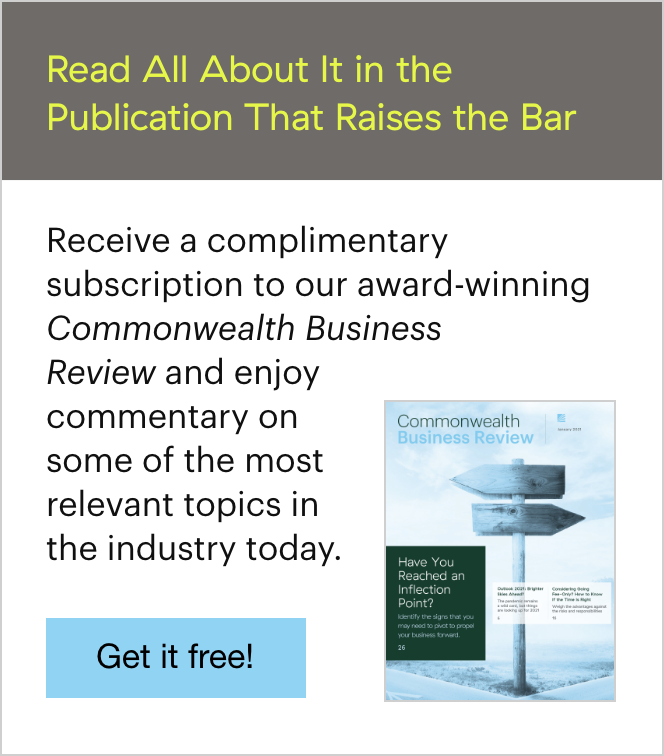 To best advise your clients—and ensure compliance with this hot-button issue—be sure to review these important IRA rollover considerations. Any recommendation to sell, purchase, or explicitly hold a security, or to implement a strategy that involves securities, triggers FINRA Rule 2111. You should have a reasonable basis to believe that a recommendation is suitable based on your client's investment profile and the characteristics of the transaction or strategy you're recommending. A client's investment profile includes several factors, such as his or her age, financial situation, liquidity needs, risk tolerance, tax status, other investments, investment time horizon, and any other information the client may disclose that would influence your recommendation. You should also document the basis for your recommendation or maintain supporting records in your client communications or in notes maintained in your files or CRM system. Your records should include the risks and potential benefits of the recommendation sufficient to support the basis for suitability. Written and electronic correspondences with the public, as well as retail communications, must comply with the requirements of FINRA Rule 2210. All communications with the public must be based on principles of fair dealing and good faith. Communications should be balanced, not misleading, and provide a sound basis to evaluate the facts about a referenced security transaction or strategy. Your explanation of why you are recommending an IRA rollover must be countered with a discussion of other available options and how they compare with the rollover option. You'll also want to bring up the following factors and weigh them with your client before deciding to roll over his or her assets into an IRA. Alternatives. A plan participant (e.g., your client) who is looking to leave a current employer typically has a range of available options when it comes to handling his or her assets. These include leaving the money in the employer's plan, rolling the assets into a new employer's plan, rolling the money into an IRA, or cashing the money out. Each choice offers advantages and disadvantages, depending on the employee's individual circumstances, objectives, and needs. Investment options. Investing in an IRA will likely enable your client to select from a broader range of investments than what was available in his or her retirement plan. 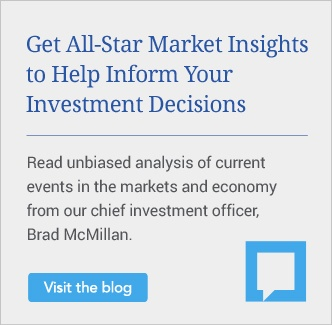 On the other hand, a retirement plan may provide your client access to institutional class shares, which typically have lower expenses than investor class shares of the same funds. Fees and expenses. Employer-sponsored retirement plans and IRAs typically have investment-related expenses, as well as plan or account fees, so you'll need to review such expenses with your client. For example, an IRA's investment-related expenses may include sales loads, commissions, investment advisory fees, and fund expenses, while plan or account fees may include administrative, service, and custodial fees. Services. You and your client should consider the different levels of service available with each option. Some retirement plans offer investment advice, planning tools, telephone help lines, educational materials, and workshops. Many IRAs make other services available to their investors, such as brokerage services, personalized investment advice, distribution planning, and access to online account management, including buying and selling securities. Penalty-free withdrawals. A client's age is an important factor when it comes to deciding on a rollover. For example, if your client leaves his or her job between ages 55 and 59½, he or she may be able to take penalty-free withdrawals from the retirement plan. In contrast, your client may not be able to make a penalty-free withdrawal from his or her IRA until he or she turns 59½. It may also be easier for your client to borrow from his or her retirement plan than from an IRA. Protection from creditors and legal judgments. Your client should also be made aware that, although retirement plan assets typically have unlimited protection from creditors under federal law, IRA assets are protected in bankruptcy proceedings only. In addition, state laws vary in the protection of IRA assets in lawsuits. Required minimum distributions (RMDs). Once any individual reaches age 70½, the rules for retirement plans and IRAs require periodic withdrawals of certain minimum amounts. If, however, your client is still working at age 70½, he or she is not generally required to take an RMD from his or her employer's plan. This may be advantageous if your client plans to work into his or her 70s. Employer stock. Be sure to consider the negative tax consequences of rolling appreciated employer stock from a retirement plan into an IRA. The tax treatment of employer stock can be intricate, so you and your client should consult a tax professional. Compensation-related conflicts of interest. You should disclose to your client how you would be compensated for each option. A recommendation that a client leave his or her assets in a plan, or roll into a new plan, will likely result in little or no compensation to you, the advisor. On the other hand, a rollover into an IRA would most likely result in commissions or fees, depending on your working relationship with your client. 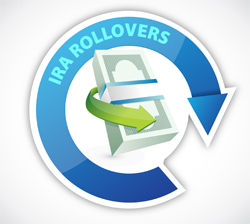 The above list of IRA rollover considerations is by no means exhaustive. Other factors might also apply. But the determination to roll over plan assets to an IRA rather than keep them in your client's previous employer's plan (or roll them over to a new plan) should reflect these considerations, which will vary in importance based on your client's individual needs and circumstances. Whatever the final decision, please remember: documenting the IRA rollover process and all the relevant factors you evaluate is of paramount importance. Are your clients interested in rolling over their IRAs? Do you consider and document any other factors? Please share below.